We are passionate about providing high quality products. We base our company values on sustainability. We have a passion for providing high quality products that are produced in a way that supports the long-term health of our environment, our animals, our communities and our customers. 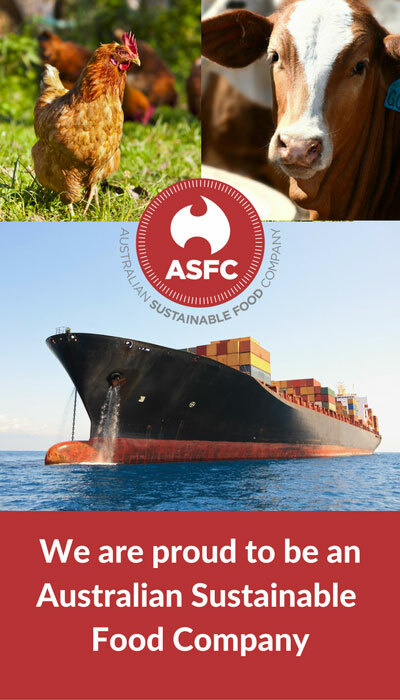 Our philosophy extends back through the supply chain to ensure that Australian farmers and producers are connected with the end user to provide a long term and mutually beneficial relationship for a premium product. We provide a framework to our agriculture partners to apply sound principles of grazing, sound environmental charter with high levels of animal welfare ethics.